A few days later, at its annual Talent Connect conference, LinkedIn showed off features that give employers deeper insights into gender diversity and skills within LinkedIn Recruiter and its new Talent Hub. The Talent Hub news is interesting and we’ll come back to it in a moment. But for all those out there who are still trying to figure out just how Microsoft and LinkedIn fit together—that is, a whole lot of people involved in recruiting and HR tech—the Glint acquisition is the bigger news. 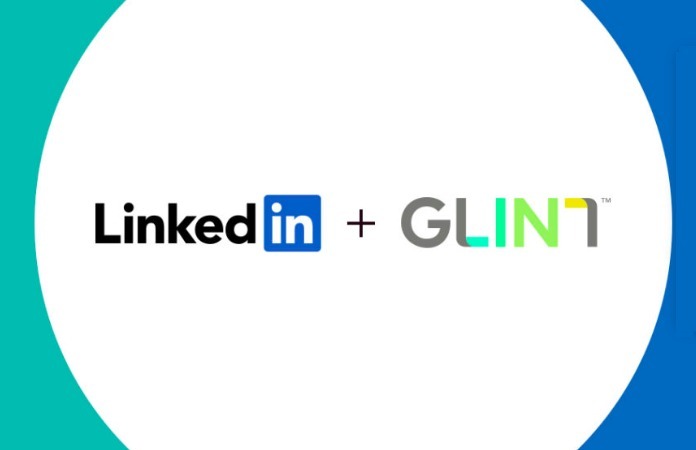 Acquiring Glint may hint at some of the new paths LinkedIn plans to explore. From what we can see, Talent Hub and Recruiter got much more attention than the Glint acquisition last week, and we can’t help but feel that’s because when it comes to LinkedIn, anything it does that touches recruiting is low-hanging fruit. But in a blog post, Daniel Shapero, LinkedIn’s vice president for talent solutions, careers, & learning, said that “With LinkedIn’s insights into the larger workforce alongside Glint’s internal view into employee engagement and skills, we will be able to help talent leaders answer … difficult questions” about their organization’s health and performance, sources of talent and whether their team’s capabilities match the company’s needs. Shapero indicated that Glint’s team will be more closely integrated with LinkedIn’s than LinkedIn’s has been with Microsoft’s. Pretty much everybody we talk to, inside and outside of the companies, say that Redmond is letting LinkedIn do its own thing while companies’ product teams are “in touch.” Whatever they’re discussing are long-term propositions. But now we have Glint introduced into the mix—Glint, a company whose business is about measuring the engagement of workers, the effectiveness of managers and the performance of the overall workforce. Glint’s insights depend on pulse surveys, which require employee interaction. No surprises there. But last year, Microsoft launched Workplace Analytics, which aggregates metadata from Office 365 and uses it to produce productivity data. For example, it crunches email and calendar information to calculate how many meetings workers attend each week, how much time they spend with email, how often they work after hours and the number of connections they have both inside and outside the company. It does all that without requiring employee interaction—it gathers its data while employees are just going about their work. Thus variables such as an employee’s mood as they respond to survey questions don’t come into play. Of course, we recognize that together Microsoft and LinkedIn form a huge organization with lots of nooks and crannies. But it’s hard to ignore the facts that, first, LinkedIn is moving into the engagement space and, second, Microsoft is already developing ways to measure employee performance. Now let’s consider that startups like KeenCorp are already building tools to passively measure employee attitudes in real time. All of this leaves us with two takeaways: Recruiting data and workforce data are merging, and the value of passively collected data is rising. We’ll have more on Talent Insights and LinkedIn Recruiter later. For now, think about the ideal ways to collect and leverage data to build a better workforce.